Actual product may very in appearance than what is pictured, but not in performance. Condensation pump for the Santa Fe Classic dehumidifier. This pump mounts on the back of the dehumidifier. 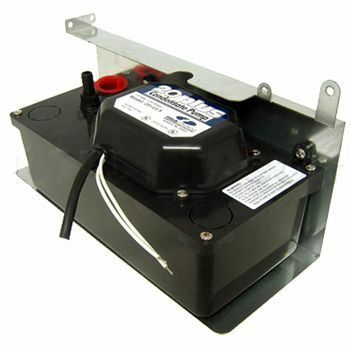 Use this pump when you don't have a drain in the floor or a sump pump pit.